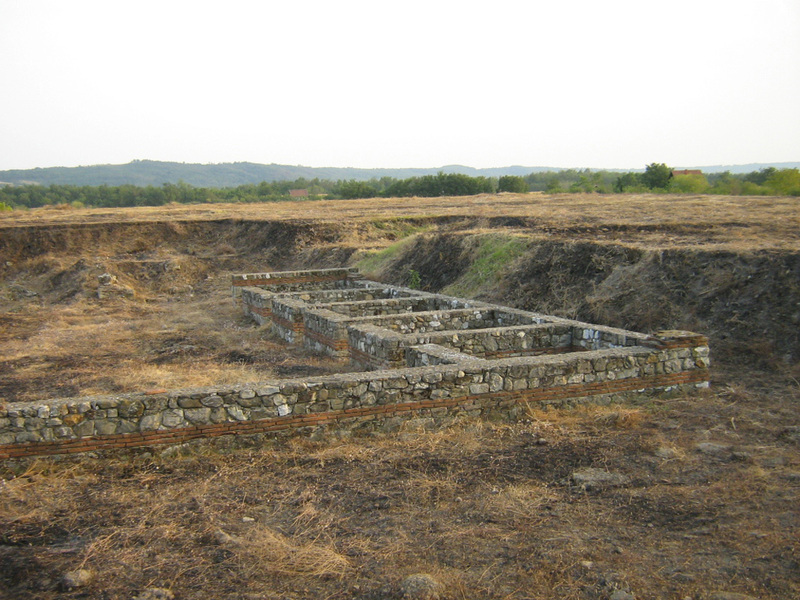 Pontes was one of the most important roman sites along the Danube. 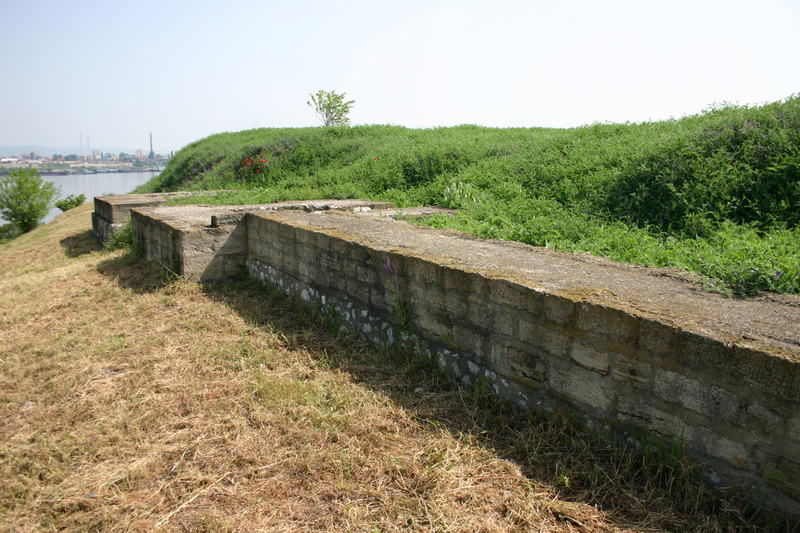 It is a complex that consists of the remains of the Trajan’s Bridge and small auxiliary fort that protected access to it on the right bank of Danube. 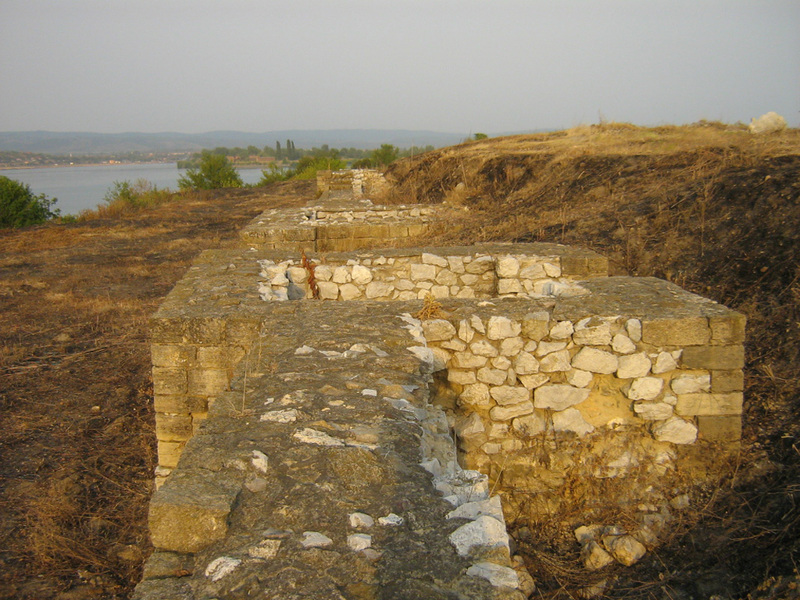 Auxiliary fort of Drobeta was located on the left bank of Danube with the same role. The Bridge was one of the marvels of the Roman architecture and the largest bridge in antiquity. It was built by Apollodorus from Damascus under Emperor Trajan between the First and Second Dacian War. Length of the entire bridge was nearly 1135 m, on the location where Danube was 800 m wide. Twenty pillars, built of bricks and stone, supported upper wooden construction that was actually used for the river crossing. Although information in written sources are scarce, depictions on the Trajan’s coins and Trajan’s column (Columna Traiana) in Rome show the grand structure almost in details. Final destruction of the bridge has several versions. According to one already Hadrian removed wooden construction in order to prevent barbarians penetrating to Moesia. But this seems only temporarily and bridge was restored very soon. Final destruction of the Bridge yet remains open. Fortification was built in the same time as the bridge. Size of Pontes fort was 112 x 120 m. In the architecture dominates Trajanic phase and all later modifications did not change original global concept. Repairs were done in the time of Marcus Aurelius and major reconstruction in the time of Septimius Severus. After abandonment of Dacia bridge definitely loses its purpose and becomes opportunity for fast barbarian intrusions. Because of that it was most probably disabled by removing upper construction. Most of the pillars stood until recent centuries when some of them were destroyed because they hindered navigation. Today only those next to the both banks remains visible. Recent underwater research traced all the pillars still partially preserved on the river bottom. 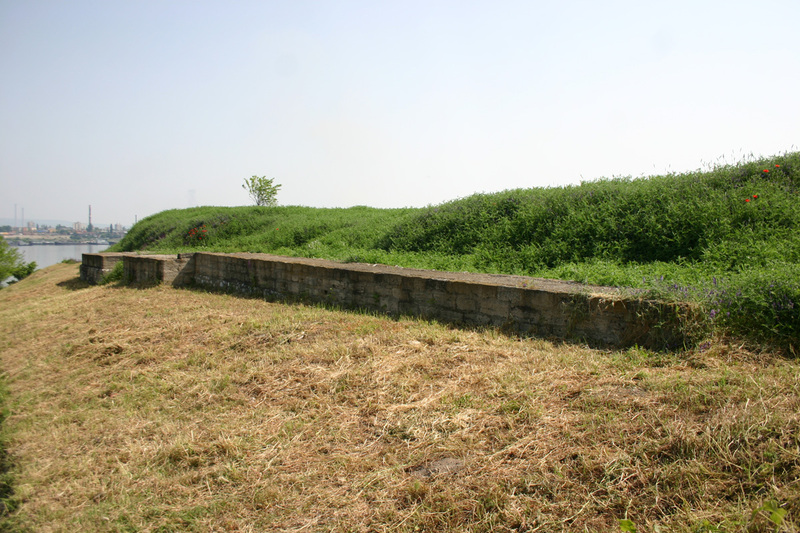 Without bridge Pontes fort loses its significance and was generally abandoned. On this area develops settlement of the limitani. Fort was revived during Justinian’s restoration of Limes, but did not last long. There are no traces of occupation after Avar invasion in 6th century AD. From this site originates one of the best examples of the Roman sculpture art in Moesia – bronze head of the Trajan’s father.